Add a splash of colour with a natural amazonite semi-precious stone, bound in sterling silver wire. 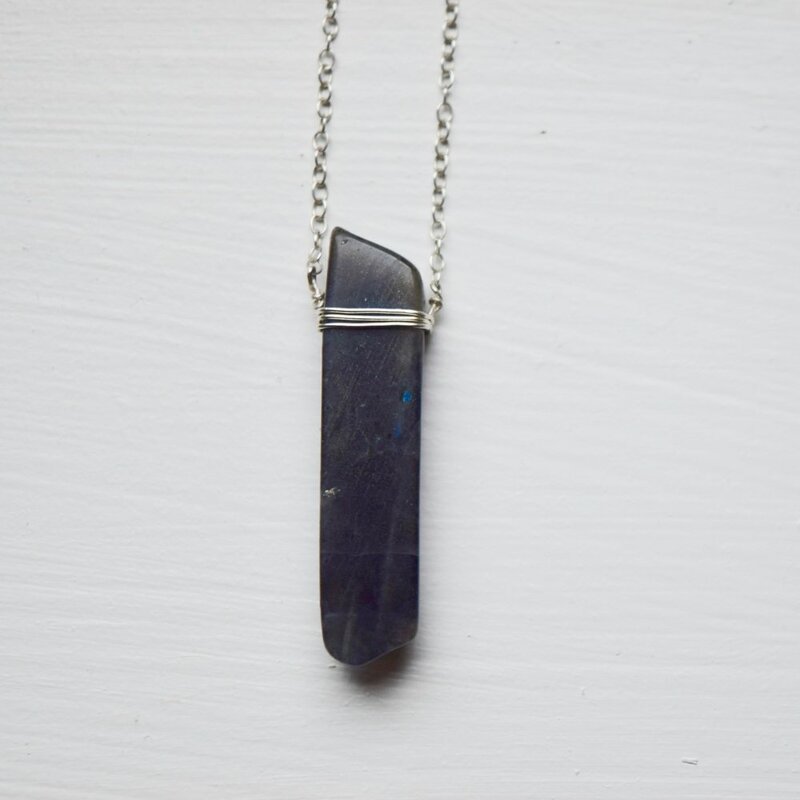 Each stone is a slightly different size, shape and colour, meaning that your necklace will truly be one of a kind. Handmade in our studio by the sea, this amazonite necklace is complete with a sterling silver chain and Catch The Sunrise tag. "Good luck isn't just a coincidence, especially when you include an Amazonite crystal in your gemstone collection. With its verdant shade of blue–green, the Amazonite crystal meaning reflects the lush foliage of the Amazon rainforest. Hold tight to the Amazonite Crystal during times of stress and call on its ultra chill vibes for a much-needed float down your inner river of tranquility. 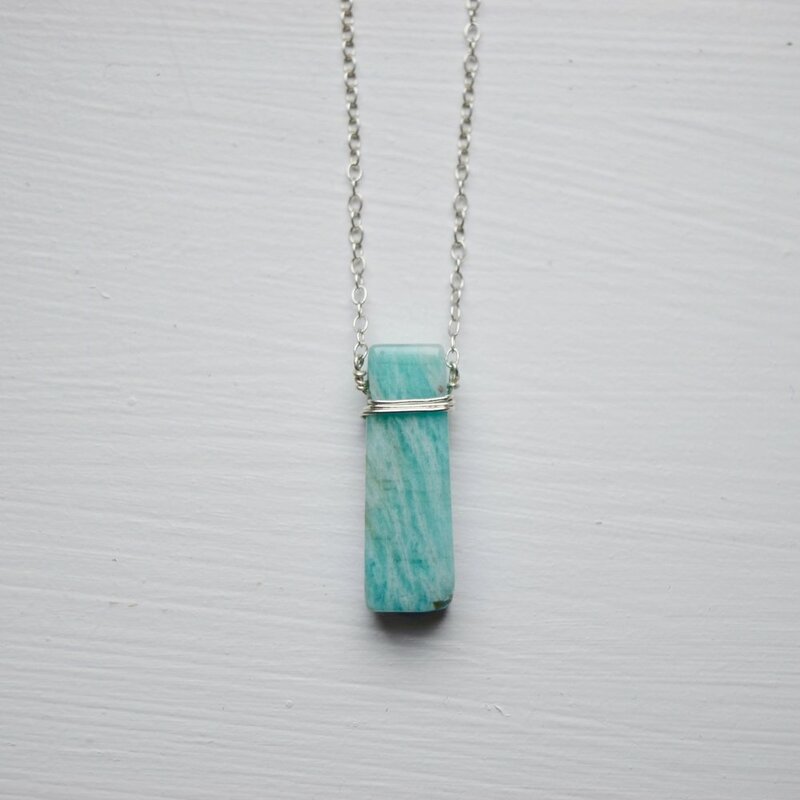 The anti-anxiety medication of the crystal world, the Amazonite is a powerful heart chakra stone, helping to release toxic emotions when placed on the chest in a healing layout."